attempting to pervert the course of justice. 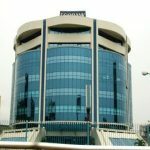 ‎‎According to court documents seen by PREMIUM TIMES, in one of the allegations, Mr. Tarfa made phone contacts with Justice Mohammed Yunusa in a case before the judge. The commission provided phone numbers of Mr. Tarfa, the judge, and bank documents detailing money transfer from the lawyer to Justice Yunusa. ‎”Based on intelligence report available to the Commission that the Applicant in a desperate bid to pervert the cause of justice in earlier proceedings involving the suspects on the subject matter was using his GSM ….. to communicate with Honourable Justice M. N. Yunusa in a case before His Lordship, the 1st Respondent requested the Applicant upon his arrest to respond to the allegation and surrender his mobile Apple I-Phone 6, colour black with MTN No. …..,” the EFCC stated in a counter affidavit deposed to by Moses Awolusi, an EFCC investigator. ‎‎”That based on investigations and data analysis of the Applicant’s mobile phones startling revelations about secret, unhealthy communications between the Applicant and judicial officers emerged. ”That investigations revealed that whilst Suits Nos. FHC/L/CS/715/2015 between Rana Prestige Industries Nigeria (owned by the suspects) and EFCC and FHC/L/CS/716 between Hair Prestige Manufacturing Nigeria and EFCC were pending before His Lordship Justice M. N. Yunusa of the Federal High Court Lagos Judicial Division were ongoing, the Applicant and Honourable Justice Yunusa of the Federal High Court were in constant communication outside the court through their mobile phone numbers i.e. GSM 080xxxxxx belonging to Justice Yunusa and GSM 080xxxxx belonging to the Applicant Rickey Tarfa SAN respectively. “Now shown to me is the call/message logs marked Exhibit ‘E’ revealing communication between the Applicant and Honourable Justice M. N. Yunusa during the pendency of the said proceedings. 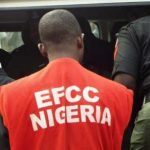 ‎The EFCC had accused Mr. Tarfa of wilfully obstructing two of its officers from arresting Gnanhooue Sourou and Nazaire Odeste, the owners of Rana Prestige Industries. The EFCC also stated that from its investigations,‎ Mr. Tarfa’s law firm, Rickey Tarfa & Co. with Access Bank Account with account no. 0000964760 paid N225,000 into Justice Yunusa’s bank account. 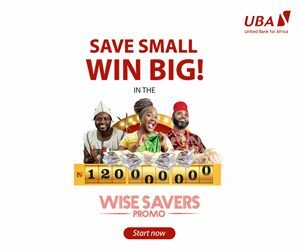 “‎I know from facts revealed during investigation that the said bribe of N225, 000.00 Two Hundred and Twenty Five Thousand Naira) was accepted and acknowledged by Justice Yunusa in a text message to the Applicant wherein he said, “Thank you my senior advocate”. ‎”I also know that investigations has revealed that the applicant’s law firm was in the habit of asking the Chief Registrar of the Lagos Judicial Division of the Federal High Court to assign his cases before His Lordship Honourable M. N. Yunusa in furtherance of the understanding between the Applicant and the particular judge. 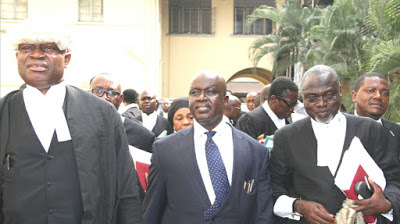 ‎The Commission further stated that Mr. Tarfa had, in April last year, attended a book launch in honour of Ibrahim Auta, the Chief Judge of the Federal High Court, in the company of Gabriel Igbinedion, who was the chief launcher. ‎Mr. Tarfa introduced Mr. Igbinedion to judges and senior lawyers who attended the programme, according to the EFCC. “That I know as a fact that inspite of the Applicant’s knowledge of Rule 3(f)(j) of the Code of Conduct for Judicial Officers which stipulates that ‘A judicial officer and members of his family shall neither ask for nor accept any gift, bequest, favour, or loan on account of anything done or omitted to be done by him in the discharge of his duties’ the Applicant did not advise his client not to donate the said sum of N8 million to the Chief Judge of the Federal High Court. Now shown to me and marked Exhibit ‘Q’ is Thisday edition of 3rd May 2015 capturing the proceedings of the launching including role of the Applicant. 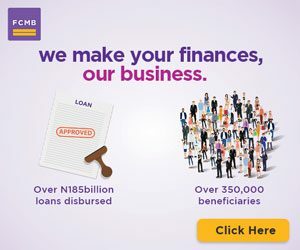 “That I know as a fact that the Applicant’s client, Chief Gabriel Igbinedion made the donation of N8m in the referred occasion to the Chief Judge of the Federal High Court inspite of knowledge by Chief Gabriel Igbinedion that his son Michael Igbinedion who had been convicted was awaiting the sentence of the Federal High Court in criminal proceedings pending against Chief Gabriel Igbinedion’s son (Chief Michael Igbinedion) before the Federal High Court.